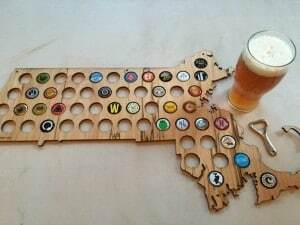 How Many Craft Breweries Are There in Massachusetts? So just how many craft brewers are there in the Commonwealth these days? That’s actually a tricky question. Admittedly, we’re not entirely sure ourselves sometimes. One thing we do know for sure: when your home state has more breweries than you can keep track of, life is good. After a recent review, the number we’ve currently settled on is a whopping 147, and that doesn’t even include a half dozen more that are likely to open before year’s end. 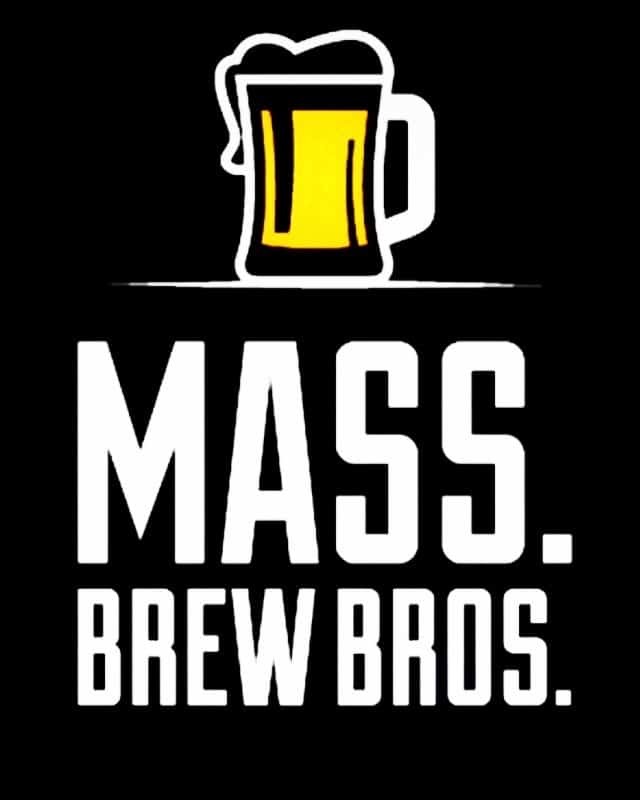 But admittedly, it all depends on how you define a “Massachusetts brewery.” For us, it’s any licensed beer maker that has its own brewery here, is contract brewed here, or originated here and maintains strong roots in the Bay State. It’s somewhat of a liberal definition, but one we feel comfortable with. Here’s a breakdown of where different breweries fit in. The first category, brands with their own brick and mortar space, represent the lion’s share. All the rest have their beer contract brewed somewhere else. Of the brick & mortars, 111 are visitable: meaning you can walk in, taste and buy beer to go, or even enjoy a pint on the premises. An astonishing 100 breweries now serve full pours at their brewpubs or taprooms, and that’s a number that will continue to grow. You can find any one of those visitable breweries by referencing our regional map pages. The breakdown is as follows: Western Mass. currently has 23 visitable breweries, Central Mass. has 26, there are 20 in Metro Boston, another 16 in the Northeast, and 26 in the fast-growing Southeast. Note that Fort Hill Brewery is currently closed for renovations, but plans to open later this month. Check their Facebook page for updates. Another visitable brewery of note is newbie Vanished Valley in Ludlow. Technically, they’re probably a production brewery, as they don’t actually have a taproom, nor do they provide samples. You will find their beer on tap right next door, though, at their sister restaurant, Europa. 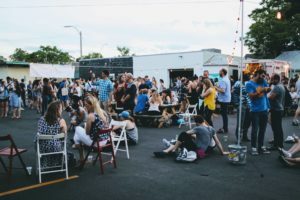 Additionally, cans and growlers of their fast-selling beers are available from a tent in their parking lot on Wednesdays and Saturdays. A few breweries we don’t list on our maps include Brewmaster’s Brewing Services, a production contract brewery that doesn’t have its own brand. They do occasionally pour pints during special events, and sell cans of their contract brands at a pop-up beer garden on Thursday nights in the summer. Another, Merrimac Brewing, a tiny nano that produces just one commercial beer, Epic IPA., has a small tasting room that can be visited if you make arrangements ahead of time. Then there’s Outlook Farm Brewery in Westhampton. Their nano operation is behind the scenes, but once a month they host a festival and pour their beers for thirsty patrons partaking of their pig roast. You can buy bottles to go from the farm store anytime. You won’t find Springdale Beer or Moon Hill Brewing on our maps either, nor are they included in our total brewery count. Though Springdale has its own location, and many of its beers are aged there, it’s produced by parent brewery Jack’s Abby and therefore is more like a brand. Likewise, Moon Hill is also a brand, one through which the Gardner Ale House distributes its beers to other restaurants and bars. Another interesting one is Clown Shoes, an independent contract brewer that was recently acquired by Harpoon. We’re not sure just where they fit in. Then there’s the emergence of the “guest brewer,” a scenario not unlike what gypsy brewer Pretty Things used to do when it rented another brewery’s space to brew its own beer. The guest brewer relationship has a wrinkle, though: instead of schlepping their beer out to bars and packies after brewing it, they sell it right there at the host brewery. One of the first will be Harper Lane Brewery, currently awaiting licensure, who hopes to be brewing later this year at Independent Fermentations in Plymouth. Another, well-known home brewer Kayfabe, has collaborated with Aeronaut Brewing. Unlike a contract brewer, guest brewers are unable to sell their beer to go, you can only enjoy it at the host brewery. There are also a number of production-only breweries, generally not open to the public. Some are lesser known nanos like Cochicuate Brewing in Wayland or Still River in Ayer. There’s also Spencer Brewery, the only Trappist beer producer in the U.S., which welcomes visitors once a year at a special open house event each June. Another, Berkley Beer, recently found a property in Taunton and plans to open a taproom there in 2018. A few others are small pilot breweries, like Old Planters in Beverly, Bay State Beer in Leiceister, or Zelus in Medfield, where recipes are perfected so that bigger batches can be contract brewed elsewhere. In addition to the 111 visitable breweries, Trillium and Aeronaut (pictured here) have beer gardens elsewhere. Speaking of contract brewing, Massachusetts has its fair share of brands that utilize that business model too. 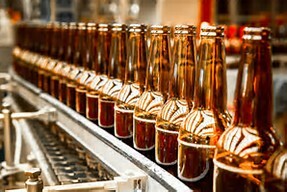 Most produce their beer at other larger breweries such as Mercury Brewing (the contract arm of Ipswich Ale Brewery), Dorchester Brewing Co., or Brewmaster’s Brewing Services in Williamsburg. Portico, Brewmaster Jack, and Entitled are three you’ve probably heard of. Two others, Backlash and Naukabout, are working toward opening their own brick & mortar facilities later this year or early next. There are even a few local brands that don’t actually brew their beer here in Massachusetts. Wash Ashore, Farmer Willie’s, Brazo Fuerte and Mighty Squirrel all contract brew in another state, but each originated here and continues to maintain strong ties. The latter two are even planning to open their own breweries here and are currently searching for locations. With the number of commercial beer makers more than doubling in the last 5 years, the Massachusetts brewery map is filling up quickly. As we reported just a couple of weeks ago, a record-breaking 32 breweries have opened so far in 2017. Accept for a handful that previously existed as contract brewers, most of them are brand new. Half a dozen more are likely to open before the end of the year, including Second Wind in Plymouth, Altruist in Sturbridge, Armory’s Tomb in Maynard, Drunken Rabbit in south Hadley, Seven Saws in Holden, Walden Woods in Marlborough, and a second Slumbrew brewpub in Somerville. When all’s said and done, 2017 could see almost 40 brewery openings! Check out our Brewers by Category page for a detailed description of all the breweries that don’t allow for a visit. You can also reference the Brewers A to Z page for an alphabetical list of all current and pending breweries. And for a list of when each and every Massachusetts commercial beer maker started brewing, check out the Current Bay State Brewers blog post we wrote a while back (we update it every month). The craft beer scene is expanding at a blistering pace, and we’re doing our best to keep up, Have a question? Know of a new brewery in planning not yet on our site? Hit us up in the comments section below, or message us on any of our social media accounts. Stay thirsty craft beer friends, and cheers. We’ve added Purgatory Beer Co. on our “likely to open before year’s end” list. They are already licensed, and hope to open their Northbridge taproom later this summer or in early fall. We just caught wind of another brewery that plans to open in the not too distant future, Lookout Farm in Natick. Already known for their cider, they are now a fully licensed brewery also and will start contract brewing soon. Their long term plan is to have their own brewery by 2018.